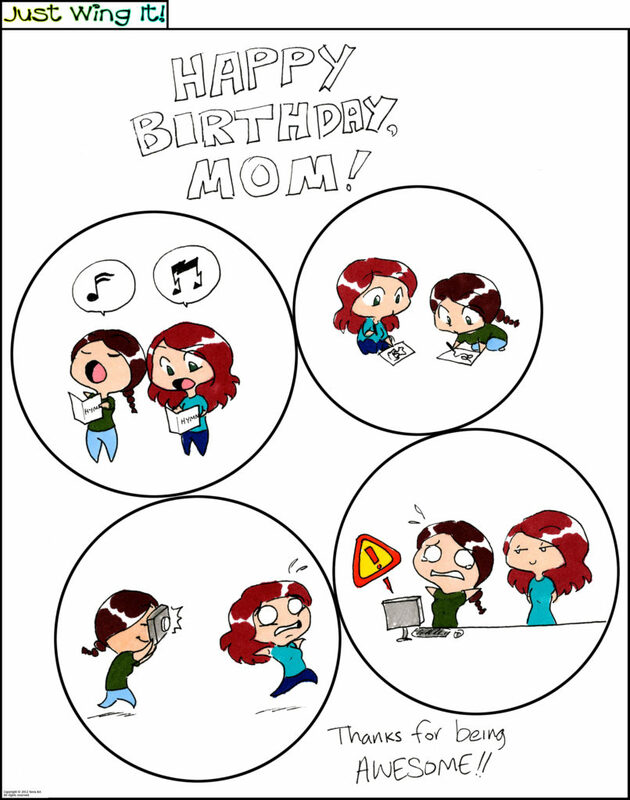 Just Wing It: Happy Birthday Mom! It was my birthday recently and this is the card Noa drew for me. I’m the one with the brown braid; she’s the redhead (don’t be too impressed; it’s henna). The computer thing – that’s just with the artwork software! And yes, she is taller than I am.